The Boston Symphony Orchestra and BSO Music Director Andris Nelsons will enter into a unique multidimensional partnership with Leipzig's Gewandhausorchester in connection with Mr. Nelsons' appointment as that orchestra's Gewandhauskapellmeister, starting with the 2017-18 season. Mr. Nelsons takes on this new title with the Gewandhausorchester in addition to his long-term commitment as the Boston Symphony Orchestra Music Director through 2022 and beyond; the GWO appointment also plays a role in consolidating Mr. Nelsons' European activities. The BSO/GWO Alliance will explore the many historic connections between these two world-famous orchestras, inspire new cultural exchanges, and create a wide spectrum of performance and educational programs designed to bring a new dimension of concert experience to each of the orchestra's respective audiences. As the central figure in bringing the BSO and GWO together, Andris Nelsons will be intricately involved in the planning and implementation of all the programming initiatives between the two orchestras. The Boston Symphony Orchestra and Gewandhausorchester Alliance will informally begin in May 2016 when the BSO, as part of a European tour to the major musical capitals of Austria, Germany, and Luxembourg, makes its debut performance in Leipzig's Gewandhaus, one of the great European halls after which Boston's Symphony Hall was modeled (1884 version). The BSO/GWO Alliance officially takes place over a five-year period beginning with the 2017-18 concert season. The BSO/GWO Alliance, under the leadership of Andris Nelsons, will feature a series of co-commissions, with new works presented each year of the partnership, starting with a work by German composer Jörg Widmann to be premiered in Boston and Leipzig in the 2017-18 concert season. The commissioning program-featuring an array of international composers representing a diversity of styles and generations-will create new works to be performed by both ensembles during their subscription seasons. The Alliance will also focus on some key educational initiatives including a program that will give Conducting Fellows of the Tanglewood Music Center (BSO's acclaimed summer music academy in western Massachusetts) an opportunity to assist Andris Nelsons with his work with the Gewandhausorchester. BSO musicians will also take part in the GWO's chamber music education series. During the 2017-18 subscription season, the BSO will celebrate "Leipzig Week in Boston" at Symphony Hall and the GWO will celebrate "Boston Week in Leipzig" at the Gewandhaus, giving each orchestra an opportunity to focus on some of the repertory for which their partner organization is best known. Since its founding in 1743, the GWO has been associated with some of the greatest figures of music history. The orchestra has given the premiere of works by such luminaries of the classical music as Beethoven, Schumann, Mendelssohn, and Brahms; this tradition has continued into the 20th and 21st centuries with scores by such significant composers as Henze, Kanscheli, and Rihm, among others. The BSO's own compositional legacy is, likewise, without parallel, including some of the seminal scores of the last century from composers ranging from Stravinsky, Prokofiev, and Bartók, to Messiaen and Dutilleux, and a myriad of Americans including, Copland, Bernstein, Sessions, Carter, and Harbison, among others. This programming strand-with each orchestra spotlighting the others musical tradition-will also be featured in chamber music performances, lectures, panel discussions, and exhibits, with the goal of bringing audiences a new understanding of this great repertoire. One of the most exciting components of the Alliance will be a chance for the BSO to perform at the Gewandhaus in Leipzig and the GWO to perform at Symphony Hall in Boston, giving each orchestra's audience a chance to appreciate this new partnership first hand. The BSO/GWO Alliance will also explore musician exchanges between the two orchestras. Christoph Wolff, Adams University Professor at Harvard University, former Director of the Bach Archive in Leipzig (2001-13), and author of numerous acclaimed texts on the history of music from the 15th and 20th centuries, will serve as an artistic advisor to the BSO/GWO Alliance (please see biography below). Further details about the programs of the BSO/GWO Alliance will be announced at a later date. "I am thrilled to accept the appointment of Gewandhauskapellmeister alongside my music directorship with the remarkable Boston Symphony Orchestra," said Andris Nelsons. "It is also an immense privilege to be partnering these two world class institutions-each with their own deeply rich musical heritage-and to be leading them in an innovative and forward-thinking alliance spanning two continents. This wonderful new alliance between the BSO and GWO will give us a unique opportunity to explore each of these orchestra's great music traditions, as well as create exciting and meaningful new experiences for our audiences at home and around the world. We are very much looking forward to the musical journey that lies ahead." "This new alliance between the Boston Symphony Orchestra and the Leipzig Gewandhaus Orchestra, which will celebrate the historical importance of each organization, highlight our shared heritage, and stimulate new artistic synergies, is uniquely collaborative in the orchestra world and will no doubt inspire a new dimension of creative programming for both orchestras," said Mark Volpe, BSO Managing Director. "This new partnership also emphasizes Andris Nelsons' role as a visionary leader who thinks creatively about extending the reach of the BSO through unique programming, touring, recordings, new media, and artistic partnerships. Under Andris Nelsons' guidance and leadership, the BSO and GWO Alliance will create opportunities for important musical and cultural exchanges and bring the extraordinary musical gifts of each orchestra to a greater world-wide audience." "I am overjoyed that we have been able to initiate an exceptional artistic cooperation between the Boston Symphony Orchestra and the Gewandhausorchester," said Prof. Andreas Schulz, Gewandhaus director. "And I am thankful that this cooperation will be spurred on by Andris Nelsons as our common Principal Conductor, employing his wide array of artistic concepts. I am looking forward to working closely with Mark Volpe and his team at the BSO, as well as the eminent music scholar Christoph Wolff, who will act as an artistic advisor. We are founding a new and unique musical family which will set new artistic standards. Our common musical history and our unique individual growth provide us countless opportunities to expand our view of the past and the present as we craft delightful concerts with special programs that will resonate for our own and for our partner's audiences." The history of close cultural connections between Boston and Leipzig began in 1881, when the Boston Symphony Orchestra's founder, Henry Lee Higginson, appointed Leipzig Conservatory-trained Georg Henschel as its first conductor. Subsequent conductors of the BSO, including Wilhelm Gericke, Emil Pauer, Max Fiedler, Karl Muck, and most importantly, Arthur Nikisch, were all educated in Leipzig and also held posts with the Gewandhausorchester. From the middle of the twentieth century, the Leipzig tie was reinforced when Charles Munch became the Music Director of the BSO in 1949, remaining in the position until 1962. Munch was also educated in Leipzig and had been Concertmaster of the Gewandhausorchester from 1926 to 1933. Symphony Hall, Boston, dedicated in 1900, is not simply a replica of the Gewandhaus that opened its doors in 1884 and was destroyed in 1944, as is often reported. Mr. Higginson had visited the Leipzig concert hall while touring Europe and had instructed his team of architects to design a larger version of the Gewandhaus, with as many as 2600 seats. Boston's new hall also added the latest acoustical principals to the overall design of its Leipzig counterpart. These acoustical principals played a major role in determining the size of the stage and the placement of sound absorbing statues in the auditorium, among other features. 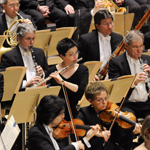 In 1974, the Gewandhausorchester appeared in Boston's Symphony Hall during its first USA tour. To date, Boston has welcomed the Gewandhausorchester for ten guest performances, including its most recent appearance in the 2014-15 concert season. While the BSO has not yet performed in the Gewandhaus, the Leipzig hall featured the Boston Youth Symphony Orchestra, affiliated with the BSO, in 2008 during its European tour. As previously mentioned, the BSO will make its debut appearance at the Gewandhaus in May 2016. On August 3, the Boston Symphony Orchestra and Andris Nelsons reached an agreement to extend Mr. Nelsons' contract as BSO Music Director through the 2021-22 season, following his extraordinary first year in that role (2014-15 season), having received virtually unanimous praise and universal enthusiasm for his work with the orchestra from critics and audiences alike. Mr. Nelsons five-year contract with the BSO was replaced with an eight-year contract, with an evergreen clause in place reflecting a mutual intention for a long-term commitment between the BSO and Mr. Nelsons well beyond the eight years of the new contract. During each year of the contract, Mr. Nelsons will lead the orchestra in a minimum of 12 weeks of programs at Symphony Hall. Mr. Nelsons will also lead several programs each season at Tanglewood, the orchestra's summer music festival in the Berkshires Hills of western Massachusetts. Annual tours-including trips to Europe, Asia, and North America and beyond-are planned for each season of Mr. Nelsons's tenure with the BSO. Expanding upon his successes in his first year as BSO Music Director, Andris Nelsons will also make media a high priority for the BSO. During the 2014-15 season, Mr. Nelsons and the BSO released two new CDs and three digital downloads, signed media contracts with Deutsche Grammophon and Google, were featured in a Great Performances broadcast nationally on PBS (and distributed world-wide), and will produce a webcast featuring members of the BSO, New Tanglewood Tales, On Stage and Off, putting the orchestra on pace to expand its media efforts in 2016. The news about Andris Nelsons' contract extension with the BSO took place just as Mr. Nelsons returned to Tanglewood in early August to lead six programs, including a performance and webcast of Mahler's Symphony No. 8 with the Tanglewood Music Center Orchestra, in celebration of the 75th anniversary of the BSO's acclaimed summer music academy (webcast available at www.bso.org); Mr. Nelsons also embarked on his first tour with the BSO as its music director to Europe's major summer music festivals and concert halls, August 22- The tour, which included stops in London, Salzburg, Grafenegg, Lucerne, Milan, Paris, Cologne, and Berlin, received highly enthusiastic response from audience and critics alike in each of the tour cities. The contract announcement also came on the heels of the BSO's and Andris Nelsons' first recording release on the Deutsche Grammophon label on July 30: Shostakovich Under Stalin's Shadow, featuring the composer's Symphony No. 10-a recording which was recently named Gramophone Magazine's Recording of the Month, August 2015. Andris Nelsons will lead the Boston Symphony Orchestra in thirteen extraordinarily wide-ranging programs in the 2015-16 season, highlighted by new programming and recording initiatives centered around the music of Shostakovich, three weeks of thematic concerts honoring the 400th anniversary of Shakespeare's death, concert performances of Strauss's Elektra with Christine Goerke in the title role, and new works by Hans Abrahamsen, Sebastian Currier, Giya Kancheli, and George Tsontakis. When Mr.Nelsons took on the title of BSO Music Director on September 27, 2014, at age 35, he became the youngest conductor to hold that title with the orchestra in over 100 years. The fifteenth music director since the Boston Symphony Orchestra's founding in 1881, Mr. Nelsons is also the first Latvian-born conductor to assume the post. Andris Nelsons made his debut as BSO Music Director in the 2014-15 season, leading the Boston Symphony Orchestra in ten programs at Symphony Hall in Boston, repeating three of them at Carnegie Hall in New York; and also six programs at Tanglewood, the orchestra's summer home in Lenox/Stockbridge, MA. In August 2015, the Boston Symphony Orchestra and Mr. Nelsons reached an agreement to extend Mr. Nelsons' contract as BSO Music Director through the 2021-22 season, following his extraordinary first year in that role, having received virtually unanimous praise and universal enthusiasm for his work with the orchestra from critics and audiences alike. From the 2017-18 season Andris Nelsons will hold the position of the Gewandhauskapellmeister of the Gewandhausorchester Leipzig and will be the central figure in bringing the BSO and GWO together for a unique multidimensional alliance, which will explore the many historic connections between these two orchestras. Mr. Nelsons, who formally holds the title of Ray and Maria Stata BSO Music Director, returned to the BSO at Tanglewood this summer to lead six performances, August 1-15, highlighted by a performance of Mahler's Symphony No. 8 on August 8 in celebration of the 75th anniversary of the Tanglewood Music Center, the BSO's acclaimed summer music academy. Afterwards, Nelsons and the BSO embarked on their first tour together, August 22-September 5: an extensive 12-concert, 8-city European tour to major European capitals, including Berlin, Cologne, London, Milan, and Paris, as well as the Lucerne, Salzburg, and Grafenegg festivals. In May 2016 a tour to eight cities in Germany, Austria, and Luxembourg will follow. 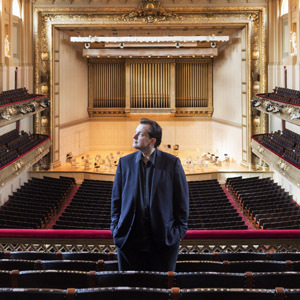 Andris Nelsons will lead the Boston Symphony Orchestra in thirteen wide-ranging programs in the 2015-16 season, his second season as music director, highlighted by new programming and recording initiatives around the music of Shostakovich, three weeks of thematic concerts honoring the 400th anniversary of Shakespeare's death, concert performances of Strauss's Elektra with Christine Goerke in the title role, and new works by Hans Abrahamsen, Sebastian Currier, Giya Kancheli, and George Tsontakis. Mr. Nelsons made his Boston Symphony debut at Carnegie Hall in March 2011, conducting Mahler's Symphony No. 9; he made his Tanglewood debut in July 2012, leading both the BSO and the Tanglewood Music Center Orchestra as part of Tanglewood's 75th Anniversary Gala (a concert available on DVD and Blu-ray, and telecast nationwide on PBS). He is the fifteenth music director in the history of the Boston Symphony Orchestra. His first compact disc with the BSO (also available as a download)-live recordings of Wagner's Tannhäuser Overture and Sibelius's Symphony No. 2, from concert performances at Symphony Hall in the fall of 2014-was released earlier this season on BSO Classics. Also this season, he and the BSO, in collaboration with Deutsche Grammophon, initiated a multi-year recording project entitled "Shostakovich Under Stalin's Shadow," to be drawn from live performances at Symphony Hall of Shostakovich's symphonies 5 through 10, the Passacaglia from his opera Lady Macbeth of Mtsensk, and selections from Shostakovich's incidental music to Hamlet and King Lear, all composed during the period the composer labored under the life-threatening shadow of Soviet dictator Joseph Stalin. Previously, Andris Nelsons has been critically acclaimed as music director of the City of Birmingham Symphony Orchestra since assuming that post in 2008; he remained at the helm of that orchestra until summer 2015. Over the next few seasons he will continue collaborations with the Berliner Philharmoniker, Wiener Philharmoniker, Het Koninklijk Concertgebouworkest, Symphonieorchester des Bayerischen Rundfunks and Philharmonia Orchestra. Andris Nelsons is a regular guest at Royal Opera House Covent Garden, Wiener Staatsoper and the Metropolitan Opera New York. In summer 2016, he returns to the Bayreuth Festival as musical director for Parsifal, in a new production directed by Uwe Eric Laufenberg. Born in Riga in 1978 into a family of musicians, Andris Nelsons began his career as a trumpeter in the Latvian National Opera Orchestra before studying conducting. He was principal conductor of Nordwestdeutsche Philharmonie in Herford, Germany, from 2006 to 2009 and music director of Latvian National Opera from 2003 to 2007. Mr. Nelsons is the subject of a DVD from Orfeo, a documentary film entitled "Andris Nelsons: Genius on Fire." 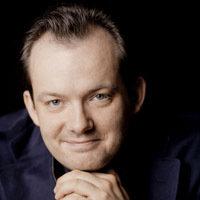 Additional information about Andris Nelsons can be found at www.andrisnelsons.com and www.bso.org. Christoph Wolff is Adams University Professor Emeritus at Harvard University. Born and educated in Germany (performance diploma, 1963; Dr. Phil., 1966) he taught the history of music at Erlangen, Toronto, Princeton, and Columbia Universities before joining the Harvard faculty in 1976. There he served as Chair of the Harvard Music Department (1980-88, 90-91), Acting Director of the University Library (1991-92), Dean of the Graduate School of Arts and Sciences (1992-2000), and in 2002 was appointed University Professor-an honor Harvard bestows on a very small number of its faculty. Recipient of various international prizes and several honorary degrees, he holds an honorary professorship at the University of Freiburg and memberships in the American Academy of Arts and Sciences, the American Philosophical Society, and the Sächsische Akademie der Wissenschaften. From 2001 through 2013 he served as Director of the Leipzig Bach Archive in Leipzig and as President of its foundation. Currently he is on the Graduate Faculty of the Juilliard School. He published widely on the history of music from the 15th to the 20th centuries. HisJohann Sebastian Bach: The Learned Musician (New York, 2000) was translated into ten languages and Mozart at the Gateway to His Fortune: Serving the Emperor, 1788-1791 (New York, 2012) is his most recent book. Now in its 135th season, the Boston Symphony Orchestra gave its inaugural concert in 1881, realizing the dream of its founder, the Civil War veteran/businessman/philanthropist Henry Lee Higginson, who envisioned a great and permanent orchestra in his hometown of Boston. Today the BSO reaches millions of listeners, not only through its concert performances in Boston and at Tanglewood, but also via the internet, radio, television, educational programs, recordings, and tours. It commissions works from today's most important composers; its summer season at Tanglewood is among the world's most important music festivals; it helps develop future audiences through BSO Youth Concerts and educational outreach programs involving the entire Boston community; and during the Tanglewood season, it operates the Tanglewood Music Center, one of the world's most important training grounds for young professional-caliber musicians. The Boston Symphony Chamber Players, made up of BSO principals, are known worldwide, and the Boston Pops Orchestra sets an international standard for performances of lighter music. 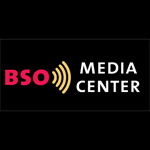 Launched in 1996, the BSO's website, bso.org, is the largest and most-visited orchestral website in the United States, receiving approximately 7.5 million visitors annually on its full site as well as its smart phone-/mobile device-friendly web format. The BSO is also on Facebook, Twitter, Instagram, and Google+; video content from the BSO is available on YouTube. An expansion of the BSO's educational activities has also played a key role in strengthening the orchestra's commitment to, and presence within, its surrounding communities. Through its Education and Community Engagement programs, the BSO provides individuals of all backgrounds the opportunity to develop and build relationships with the BSO and orchestral music. 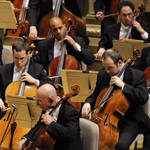 In addition, the BSO offers a variety of free educational programs at Symphony Hall and Tanglewood, as well as special initiatives aimed at attracting young audience members. The Boston Symphony Orchestra gave its inaugural concert on October 22, 1881, under Georg Henschel, who remained as conductor until 1884. For nearly twenty years, BSO concerts were held in the old Boston Music Hall; Symphony Hall, one of the world's most revered concert halls, opened on October 15, 1900. Henschel was succeeded by the German-born and -trained conductors Wilhelm Gericke, Arthur Nikisch, Emil Paur, and Max Fiedler, culminating in the appointment of the legendary Karl Muck, who served two tenures, 1906-08 and 1912-18. In 1915 the orchestra made its first transcontinental trip, playing thirteen concerts at the Panama-Pacific International Exposition in San Francisco. Henri Rabaud, engaged as conductor in 1918, was succeeded a year later by Pierre Monteux. These appointments marked the beginning of a French tradition maintained, even during the Russian-born Serge Koussevitzky's tenure (1924-49), with the employment of many French-trained musicians. It was in 1936 that Koussevitzky led the orchestra's first concerts in the Berkshires; he and the players took up annual summer residence at Tanglewood a year later. Koussevitzky passionately shared Major Higginson's dream of "a good honest school for musicians," and in 1940 that dream was realized with the founding of the Berkshire Music Center (now called the Tanglewood Music Center). Koussevitzky was succeeded in 1949 by Charles Munch, who continued supporting contemporary composers, introduced much French music to the repertoire, and led the BSO on its first international tours. In 1956, the BSO, under the direction of Charles Munch, was the first American orchestra to tour the Soviet Union. Erich Leinsdorf began his term as music director in 1962, to be followed in 1969 by William Steinberg. Seiji Ozawa became the BSO's thirteenth music director in 1973. His historic twenty-nine-year tenure extended until 2002, when he was named Music Director Laureate. 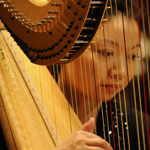 In 1979, the BSO, under the direction of Seiji Ozawa, was the first American orchestra to tour mainland China after the normalization of relations. Bernard Haitink, named principal guest conductor in 1995 and Conductor Emeritus in 2004, has led the BSO in Boston, New York, at Tanglewood, and on tour in Europe, as well as recording with the orchestra. Previous principal guest conductors of the orches­tra included Michael Tilson Thomas, from 1972 to 1974, and the late Sir Colin Davis, from 1972 to 1984. The first American-born conductor to hold the position, James Levine was the BSO's music director from 2004 to 2011. Levine led the orchestra in wide-ranging programs that included works newly commissioned for the orchestra's 125th anniversary, particularly from significant American composers; issued a number of live concert performances on the orchestra's own label, BSO Classics; taught at the Tanglewood Music Center; and in 2007, led the BSO in an acclaimed tour of European music festivals. In May 2013, a new chapter in the history of the Boston Symphony Orchestra was initiated when the internationally acclaimed young Latvian conductor Andris Nelsons was announced as the BSO's next music director, a position he has taken up in the 2014-15 season, following a year as music director designate. Today, the Boston Symphony Orchestra continues to fulfill and expand upon the vision of its founder Henry Lee Higginson, not only through its concert performances, educational offerings, and internet presence, but also through its expanding use of virtual and electronic media in a manner reflecting the BSO's continuing awareness of today's ever-changing, 21st-century world. The orchestra's origins can be traced to 1743, when a society called the Grosses Concert began performing in private homes. In 1744 the Grosses Concert moved its concerts to the "Three Swans" Tavern. Their concerts continued at this venue for 36 years, until 1781. In 1780, because of complaints about concert conditions and audience behavior in the tavern, the mayor and city council of Leipzig offered to renovate one story of the Gewandhaus (the building used by textile merchants) for the orchestra's use. The motto Res severa est verum gaudium ("a serious concern is true pleasure", or "true pleasure is a serious business" - from the Roman author Seneca) was painted in the hall, suggesting the priorities of the sponsors. The orchestra gave its first concert in the Gewandhaus in 1781. The orchestra thus has a good claim to being the oldest continuing orchestra in Germany founded by the bourgeoisie, while older orchestras were part of royal suites. In 1835, Felix Mendelssohn became the orchestra's music director, with the traditional title ofGewandhauskapellmeister, and held the position with only one year's interruption until his death in 1847. In 1885, the orchestra moved into a new hall, which was destroyed by bombing in 1944. The present Gewandhaus, which opened n 1981, is the third building with the name. The large organ in the hall bears the original Gewandhaus motto "Res severa verum gaudium." Aside from its concert duties, the orchestra also performs frequently in the Thomaskirche and as the official opera orchestra of the Leipzig Opera. Later principal conductors included Arthur Nikisch, Wilhelm Furtwängler, Bruno Walter, and Václav Neumann. From 1970 to 1996, Kurt Masur was Gewandhauskapellmeister, and he and the orchestra made a number of recordings for the Philips label. From 1998 to 2005, Herbert Blomstedt held the same position, and they in turn made several recordings for the Decca label. Masur and Blomstedt each currently hold the title of conductor laureate with the orchestra. In 2005, Riccardo Chailly took over as both Gewandhauskapellmeister and music director of the Leipzig Opera, with an initial contract through 2010. In 2008, Chailly's first contract extension occurred, through 2015. However, he concurrently resigned as GMD of the Oper Leipzig, reportedly after conflict over the hiring of personnel without his consultation. In June 2013, the Gewandhausorchester further extended Chailly's contract through 2020. They have released recordings on the Decca label of Felix Mendelssohn, Johannes Brahms, the Robert Schumann symphonies in the re-orchestrations by Gustav Mahler, and the Beethoven symphonies.